At the beginning of Day 3, the last 8 participants met for battle at the European Poker Tour Final Table at the Casino Barriere de Deauville, France. Ram Vaswani, the UK's "Crazy Horse" of poker, took a commanding lead into the final table, possessing almost 1,200,000 in chips, considerably above those of his nearest rivals, Dutchman Mark Boudewijn (900,000 plus change) and Denmark's Theo Jorgensen (800,000 plus change). Other challengers were relatively short-stacked, with the best of them Canada's experienced operator, Isabelle Mercier, with a little more than 400,000 and young Swede, Mats Iremark with a similar amount. Bringing up the rear were Russia's Kirill Gerasimov (Runner-up and winner of $500,000 in the $25,000 buy-in WPT Bellagio Five Star Championship in 2002), another Swede and previous EPT finalist, Patric Martensson, and England's Stuart Nash. Three UK players who fell just short of the Day 3 final table were Brian Gilbert, Martin Green and Stuart Fox, the latter two eliminated by Ram Vaswani's chip power. Not far behind them was Jeff Sharpe, the 3rd placed finisher at the Caribbean Poker Classic in November, and Julian Thew, who seems to figure in the latter stages of every big tournament these days. 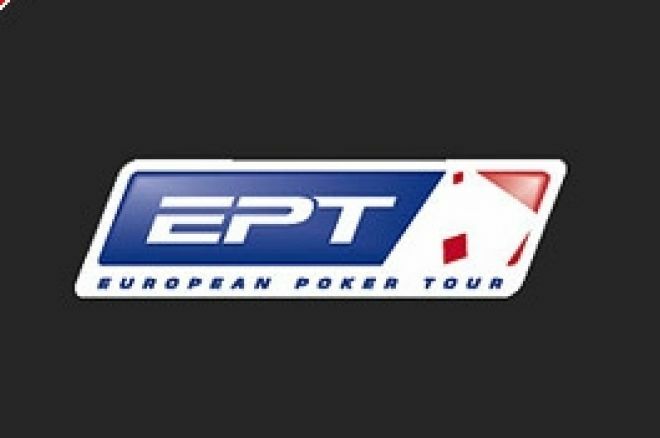 Other UK and Irish players that cashed at this EPT event (at least recovering their entry costs and change) were Roy "The Boy" Brindley, Willie Tann, John Hewston, Mickey Wernick, and Peter Roche. At the final table itself, low-stacked Stuart Nash soon departed (8th, &euro;43,500) leaving seven who sparred and jabbed until, one after the other, Isabelle Mercier (7th, &euro;60,800) and Patric Martenssen (6th, &euro;76,800) were eliminated. Ram Vaswani, Mark Boudewijn and Theo Jorgensen thus found themselves hogging the chips. Gerasimov and Iremark were hanging on so it was a considerable shock to find that Ram "Crazy Horse" Vaswani was next to shuffle off this mortal final table in 5th for &euro;97,700, courtesy of a Kirill-er blow from Gerasimov. With a huge WPT final table contest in his CV, Gerasimov suddenly became a force to be feared. However, he had no input into the elimination of short-stacked Theo Jorgensen who took 4th place and &euro;118,500 and, shortly afterward, Gerasimov followed him "down the tunnel" in 3rd, placated by &euro;155,300 to soften the blow. Mats Iremark was therefore probably a little surprised and elated to find himself heads up with chip leader Boudewijn. Chips swung here and there until the decisive moments occurred resulting in a declared winner........Mats Iremark, yet another young swashbuckling Swede to join the ranks of the successful poker-plying Scandinavians. Iremark won &euro;480,000. Congratulations to him, and to Mark Boudewijn who picked up &euro;259,000 for second place. The EPT show rolls into Monte Carlo in early March for the EPT Grand Final, a &euro;10,000 buy-in event.